I’m in the mood for gambling on this Thursday night – because I’m in Vegas. Are our three finalists? Wow – a great game. 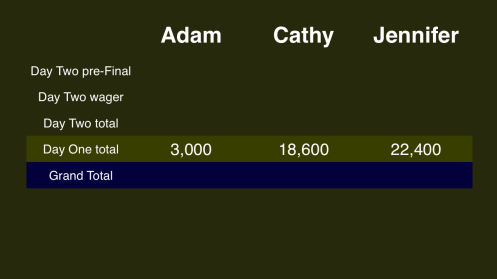 All three players have big scores, and are within 600 points of each other. 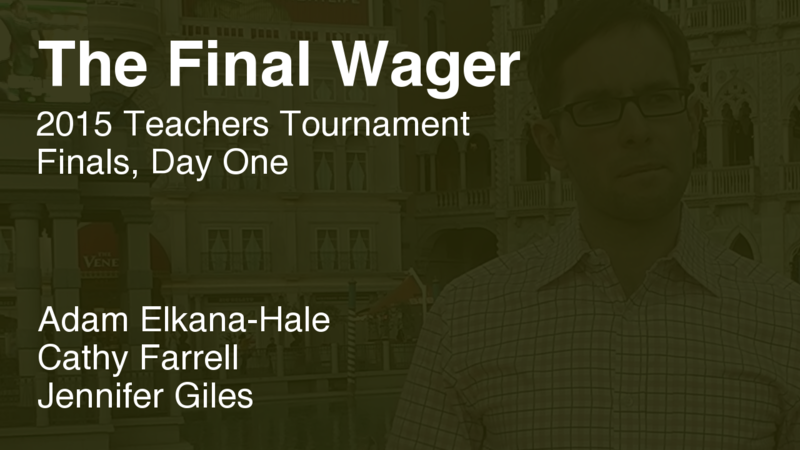 In the video, I explain why this Final Wager is a bit like gambling – you’re trying to maximize expected value. Like the category? Wager big! Hate the category? Wager small! It was so painful to see Adam nearly collapse after time ran out on his light pen.